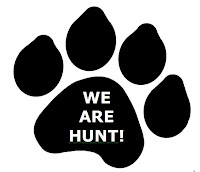 The Hunt Middle School Open House is scheduled for next Thursday, September 8th from 6:30 until 8:00 P.M. Please note there was a misprint regarding Open House in the District Calendar. Once again, Open House is (tomorrow) THIS Thursday, September 8th from 6:30 until 8:00 P.M.
for information and upcoming important dates! The MATHCOUNTS Competition Series is a national program that provides students the opportunity to compete in live, in-person contests against and alongside their peers. Created in 1983, it is the longest running MATHCOUNTS program and is open to all sixth, seventh and eighth grade students. Parents and Guardians only please. Introductions to your Hunt Middle School staff. Parents will hear from the teachers about the expectations for students, staff and parents. Curriculum, schedules, ipads and many other topics will be touched on. Brand New HUNT Middle School T-shirts!!! Hunt now has a brand new t-shirt. Your student should have come home with an order form. Orders are due by Friday, September 16th! We’ve had a great opening to the school year and are very pleased to have the students back in action here at school. Fall sports are starting up presently so if your HMS student would like to participate in Soccer, Field Hockey or Cross Country running. Please encourage them to sign up. Thursday, September 15th at 6:30 PM in the school library.